Court of Appeals	Page, J. Dissenting, Anderson, Paul H., and Hanson, JJ. 1. Viewed in the light most favorable to respondents, the alleged representations made by appellants constitute actionable representations of past or present material fact. 2. There are genuine issues of material fact as to whether the alleged representations were knowingly false and as to the reasonableness of respondents� reliance. Appellants Production Resource Group, L.L.C. (PRG), Haas Multiples Environmental Marketing and Design, Inc., d/b/a Entolo-Minneapolis, and Entolo, Inc. (collectively, appellants), seek review of a court of appeals decision reversing the trial court�s decision partially dismissing on summary judgment a lawsuit brought by respondents Hoyt Properties, Inc., and Hoyt/Winnetka, L.L.C., (collectively, Hoyt). Hoyt alleged that a settlement agreement it signed with appellants, which included a release provision relieving PRG of any future liability, was invalid because the release provision in the agreement was induced by a material fraudulent misrepresentation. The district court concluded that the alleged misrepresentation was a legal opinion, not a representation of fact; the court of appeals reversed on grounds that the alleged misrepresentation both implied and directly asserted facts. We affirm the court of appeals and remand the case to the district court for further proceedings. The record in this case shows the following. Steve Hoyt is an attorney who owns and operates Hoyt Properties, Inc., and Hoyt/Winnetka, L.L.C., two Minnesota corporations engaged in the real estate business. In 2001, the parties executed a multimillion dollar lease whereby Hoyt Properties leased office and warehouse space to Haas. Before Haas took possession of the leased space, Haas assigned the lease to its successor corporation, Entolo, and Hoyt Properties subsequently assigned the lease to Hoyt/Winnetka. Entolo eventually defaulted on the lease and Hoyt filed an unlawful detainer action. On the day of the eviction hearing, Hoyt and Entolo reached a settlement under which Hoyt agreed to allow Entolo to continue occupying a portion of the leased premises for about two months in exchange for payment of approximately 4,000 in rent. Hoyt retained the right to sue Entolo for the remaining unpaid balance due under the lease; however, at the request of appellants� counsel, Hoyt agreed to a provision releasing Entolo�s parent corporation, PRG, and its other affiliates from liability, save for two circumstances not at issue here. Steve Hoyt alleges that Hoyt agreed to the provision releasing PRG from liability because of representations made to him by PRG�s attorney on the day of the eviction hearing. Steve Hoyt asserts that when he learned of the request to release PRG, he inquired of PRG�s attorneys the reason for the provision releasing PRG. According to Steve Hoyt, he was told that PRG wanted the release because it did not want to be sued after the fact. At this point, Steve Hoyt alleges that one of PRG�s attorneys made the representations at issue in this case. According to Hoyt, upon learning that PRG was concerned about being sued after the fact, Steve Hoyt asked, �I don�t know of any reason how we could pierce the veil, do you?� Hoyt alleges that PRG�s attorney responded, �There isn�t anything. PRG and Entolo are totally separate.� Hoyt asserts that, relying on the statement made by PRG�s attorney, Steve Hoyt authorized the release provision as requested. After signing the settlement agreement, Hoyt learned of a lawsuit brought by a third party against Entolo that alleged breach of contract by Entolo but sought to hold its parent company, PRG, liable by piercing the corporate veil. The complaint alleged, among other things, that Entolo failed to observe corporate formalities, was operated by PRG as a division rather than a separate corporation, and was undercapitalized by PRG. Upon learning of this litigation, Hoyt filed suit against appellants, seeking to rescind the settlement agreement and to pierce the corporate veil to hold PRG liable for Entolo�s breach of the lease. Hoyt alleged in its complaint that the representations PRG�s attorney made to Steve Hoyt were false and that the attorney either knew or should have known that the representations were false. 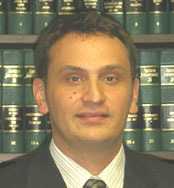 In granting summary judgment to appellants, the district court found that the alleged representations at issue constituted a nonactionable legal opinion, that the alleged representations were not false, and that Hoyt failed to assert any facts demonstrating that any reliance on the alleged representations was reasonable. The court of appeals concluded that the alleged representations were actionable because they both implied facts and directly asserted facts. Hoyt Props. Inc., v. Prod. Res. Group, 716 N.W.2d 366, 373-74 (Minn. App. 2006). The court of appeals also concluded that whether Hoyt reasonably relied on the representations was a genuine issue of material fact for trial, thus precluding summary judgment. Id. at 374-75. On appeal to this court, appellants challenge the court of appeals� conclusion that the representations were actionable and the finding that Hoyt�s reliance raised a genuine issue of material fact for trial. Appellants first assert that the court of appeals erred in reversing the district court�s grant of summary judgment because the representations PRG�s attorney allegedly made expressed only the attorney�s legal opinion and therefore were not actionable. When reviewing a grant of summary judgment, we review the record to determine: �(1) whether there are any genuine issues of material fact for trial; and (2) whether the trial court erred in its application of the law.� See Nicollet Restoration, Inc. v. City of St. Paul, 533 N.W.2d 845, 847 (Minn. 1995). We review the evidence in the light most favorable to the nonmoving party, id., in this case, Hoyt. (1) there was a false representation by a party of a past or existing material fact susceptible of knowledge; (2) made with knowledge of the falsity of the representation or made as of the party�s own knowledge without knowing whether it was true or false; (3) with the intention to induce another to act in reliance thereon; (4) that the representation caused the other party to act in reliance thereon; and (5) that the party suffer[ed] pecuniary damage as a result of the reliance. Specialized Tours, Inc. v. Hagen, 392 N.W.2d 520, 532 (Minn. 1986). Appellants argue that the statements at issue do not amount to statements of past or present material fact as required under the first prong of our fraudulent misrepresentation standard. a statement that one mortgage has priority over another may imply an assertion that one was made before the other; and a statement that a corporation has the legal right to do business in a state may carry with it an assurance that it has as a matter of fact taken all of the steps necessary to be duly qualified. Appellants assert that the representations PRG�s attorney allegedly made were statements of the attorney�s legal opinion only and thus were not actionable. Appellants argue that Steve Hoyt�s question, �I don�t know of any reason how we could pierce the veil, do you?,� solicited the view of PRG�s attorney regarding a legal claim, to which PRG�s attorney responded with the legal opinion �There isn�t anything.� As to the second part of the alleged representation, �PRG and Entolo are totally separate,� appellants argue that this was also a legal opinion, and that the word �separate� is a legal term of art that �does not describe a particular factual predicate in a piercing-the-veil case, but rather, a general legal conclusion that piercing is not warranted.� Hoyt asserts that the representation that �There isn�t anything� �implied that PRG�s and Entolo�s business operations justified [the attorney�s] conclusion that there was not �anything� to a good-faith piercing claim� and that the representation that �PRG and Entolo are totally separate� was a direct factual statement bolstering the assertion that there were no facts supporting a veil-piercing claim. Hoyt further asserts that Steve Hoyt had no knowledge of the facts underlying PRG�s corporate relationship with Haas and Entolo. Here, the question allegedly asked by Steve Hoyt was, �I don�t know of any reason how we could pierce the veil, do you?� Hoyt alleges that the response was �There isn�t anything.� When viewed in the light most favorable to Hoyt, as is required under the summary judgment standard, the representation �There isn�t anything� is a representation that no facts exist that would support a piercing claim against PRG�for example, no facts indicating that Entolo did not maintain corporate formalities. Even if we assume, as appellants argue, that the alleged statement made by PRG�s attorney was an expression of his legal opinion, that representation implies that the attorney was aware of facts supporting that opinion, namely, that there were no facts to support a claim to pierce the corporate veil. Because the representation was not an expression of pure legal opinion (for example, �I do not think someone could pierce the veil but I am not sure�), but rather a statement implying that facts existed that supported a legal opinion, we conclude that the representation is actionable. See Osterlund, 154 Minn. at 496, 191 N.W. at 919; Restatement (Second) of Torts � 545. We conclude that the second alleged representation, �PRG and Entolo are totally separate,� is also actionable. Again viewed in the light most favorable to Hoyt, the second representation constitutes a direct factual assertion that the relationship between PRG and Entolo is such that no facts exist that would allow the corporate veil to be pierced; for example, that no facts existed that would demonstrate that Entolo was a fa�ade for PRG�s own dealings. As such, it is the kind of representation that we have traditionally held to be actionable. See, e.g., Davis v. Re-Trac Mfg. Corp., 276 Minn. 116, 118, 149 N.W.2d 37, 39 (1967) (affirming a jury�s award of damages to a plaintiff who relied on a false representation of �past or existing material fact�). Having determined that the representations are actionable, we must next determine whether they create a genuine issue for trial. We have explained that, in order for the representation to be fraudulent, it must be �made with knowledge of the falsity of the representation or made as of the party�s own knowledge without knowing whether it was true or false.� Specialized Tours, 392 N.W.2d at 532. For the purposes of summary judgment, we must determine whether PRG�s attorney either: (1) knew of some facts that would support a piercing claim such that his representations to the effect that there were no facts supporting a piercing claim were knowingly false; or (2) made the representations without knowing whether there were facts that would support a piercing claim. Appellants assert that the representations allegedly made by PRG�s attorney were not false, much less knowingly false. Hoyt alleges that they were known or should have been known to be false when made. At this stage of the proceedings, the record as to whether the representations were knowingly false when made consists solely of the parties� assertions. Accordingly, the only way for the district court to have concluded that the representations were not knowingly false was to have weighed the evidence and assessed the credibility of the parties. Weighing the evidence and assessing credibility on summary judgment is error. Fairview Hosp. & Health Care Servs. v. St. Paul Fire & Marine Ins. Co., 535 N.W.2d 337, 341 (Minn. 1995) (stating that �[i]t is axiomatic that on a summary judgment motion a court may not weigh the evidence�); Conroy v. Kleinman Realty Co., 288 Minn. 61, 66, 179 N.W.2d 162, 165-66 (1970) (stating that this court is �committed to the principle that the credibility of witnesses and the inferences fairly to be drawn therefrom are in the exclusive province of the trier of fact�). Absent evidence in the record establishing, as a matter of law, that the representations were not knowingly false when made, we conclude that there is a genuine issue of material fact for trial on that issue. The record is sufficient for us to conclude that there are also genuine issues of material fact for trial as to whether PRG�s attorney made the representations at issue without knowing whether they were true or false. In his deposition, the attorney admitted that before he made the representations at issue he �knew what was contained in� the complaint brought by the third party. The complaint alleges a number of facts that, if true, would support the conclusion that PRG and Entolo did not maintain corporate formalities and that PRG would, therefore, be susceptible to a piercing claim. In his deposition, PRG�s attorney also admitted that when he made the alleged representations at issue he had not yet formed an opinion, one way or the other, about the facts alleged in the complaint. Given these admissions, a finder of fact could conclude that when PRG�s attorney responded to Steve Hoyt�s question he did not know whether his representations were true. As such, there is a genuine issue of material fact for trial as to whether he made the representations �without knowing whether [they were] true or false.� Specialized Tours, 392 N.W.2d at 532. Finally, we address the district court�s finding that �Hoyt�s reliance on opposing counsel�s remarks was unreasonable as a matter of law.� The court of appeals reviewed each of the factors relied on by the district court in making that finding and concluded that none of the factors demonstrated that Hoyt�s reliance was unreasonable as a matter of law. Hoyt, 716 N.W.2d at 374-75. As a result, the court of appeals remanded for trial on the question of the reasonableness of Steve Hoyt�s reliance. Id. To prevail on a claim of fraudulent misrepresentation, the complaining party must set forth evidence demonstrating both actual and reasonable reliance. See Nicollet Restoration, 533 N.W.2d at 848 (explaining that court must find reasonable reliance in �any cause of action in which detrimental reliance is an element�). In defending a motion for summary judgment, the nonmoving party must come forward with some evidence demonstrating a genuine issue as to the actual reliance and the reasonableness of the reliance. Id. To establish actual reliance, Hoyt offered Steve Hoyt�s deposition testimony that he agreed to release PRG from liability because he relied on the representations PRG�s attorney made regarding piercing the corporate veil. On this record, Steve Hoyt�s testimony is sufficient to defeat summary judgment on the question of actual reliance. Whether a party�s reliance is reasonable is ordinarily a fact question for the jury unless the record reflects a complete failure of proof. Id. Accordingly, to survive a motion for summary judgment, the nonmoving party must come forward with some facts supporting a conclusion of reasonable reliance. See id. We have held that a party can reasonably rely on a representation unless the falsity of the representation is known or obvious to the listener. Spiess v. Brandt, 230 Minn. 246, 253, 41 N.W.2d 561, 566 (1950). The listener is not under an obligation to conduct an investigation and thus may rely on the representation so long as it is not known by the listener to be false and is not obviously false. Id. Here, Hoyt contends that its reliance was reasonable because the falsity of the representations made by PRG�s attorney was not known or obvious to Steve Hoyt. Appellants argue that the court of appeals� conclusion that a reasonable jury could find Hoyt�s reliance was reasonable is flawed because it fails to consider the cumulative effect of Steve Hoyt�s legal training, business experience, and normal business practices. Appellants do not explain, however, why those three factors make Hoyt�s reliance unreasonable as a matter of law. Nor can we, without stepping into the role of the trier of fact and weighing the evidence, conclude that Hoyt�s reliance was unreasonable as a matter of law. While these factors might well, on this record, lead a trier of fact to conclude that Hoyt�s reliance was in fact unreasonable, that determination is properly one for the trier of fact. Therefore, we conclude, as did the court of appeals, that the district court erred when it found that Hoyt�s reliance was unreasonable as a matter of law. Because we hold that Hoyt established genuine issues of material fact for trial as to the required elements of a fraudulent misrepresentation claim, we affirm the court of appeals� decision and remand to the district court for further proceedings. I respectfully dissent. I disagree with the majority�s conclusion that respondents Hoyt Properties, Inc., and Hoyt/Winnetka, L.L.C., (collectively, Hoyt Properties), established genuine issues of material fact for trial. On this record, Hoyt Properties failed to establish the required elements of fraudulent misrepresentation as a matter of law. Therefore, I would affirm the district court�s summary judgment ruling in favor of appellants Production Resource Group, L.L.C. (PRG), Haas Multiples Environmental Marketing and Design, Inc., d/b/a Entolo-Minneapolis, and Entolo, Inc. Specialized Tours, Inc. v. Hagen, 392 N.W.2d 520, 532 (Minn. 1986). Hoyt Properties filed a claim, alleging that an attorney representing PRG, Entolo�s parent company, committed fraudulent misrepresentation based on statements made by the attorney around the time Hoyt Properties and Entolo were negotiating a settlement agreement. According to Hoyt Properties, its representative Steve Hoyt spoke with PRG�s attorney after negotiations, and the attorney asked for a provision releasing PRG from liability. Steve Hoyt asserts that he asked PRG�s attorney, �Well, that would be piercing the veil. * * * I don�t know of any reason why [PRG] could be liable, do you?� Steve Hoyt further asserts that PRG�s attorney responded, �There isn�t anything. PRG and Entolo are totally separate.� Following this conversation, Hoyt Properties released PRG from any liability under the settlement agreement, excepting two circumstances not relevant here. In its complaint, Hoyt Properties alleges that Steve Hoyt authorized the release provision in the settlement agreement in reliance on PRG�s attorney�s statements. PRG moved for summary judgment, in part, on the grounds that Hoyt Properties� evidence of fraudulent misrepresentation was insufficient to establish a legal basis to rescind the settlement agreement. After briefing and a hearing, the district court granted summary judgment in favor of PRG. The district court concluded that the alleged representations by PRG�s attorney constituted a nonactionable legal opinion, that the alleged representations were not false, and that reliance on the alleged representations was unreasonable as a matter of law. The court of appeals reversed. We review an appeal from summary judgment to determine whether there are any genuine issues of material fact and whether the district court erred in applying the law. Fin Ag, Inc. v. Hufnagle, Inc., 720 N.W.2d 579, 584 (Minn. 2006). Because summary judgment was granted against Hoyt Properties, we view the evidence in the light most favorable to it. See id. Therefore, we assume the conversation between Steve Hoyt and PRG�s attorney took place, and we assume it took place as Steve Hoyt alleges. The first and fourth elements of the fraudulent misrepresentation claim are at issue in this case. The first element is that �there was a false representation by a party of past or existing material fact susceptible of knowledge.� Specialized Tours, 392 N.W.2d at 532. Although pure legal opinions are not actionable in a fraudulent misrepresentation claim, a misrepresentation involving a matter of law may be actionable if it �amounts to an implied assertion that facts exist that justify the conclusion of law which is expressed.� Miller v. Osterlund, 154 Minn. 495, 496, 191 N.W. 919, 919 (1923). Here, the legal opinion at issue is whether the relationship between PRG and Entolo is sufficient to support a claim for piercing the corporate veil. The majority concludes that PRG�s attorney�s statements implied that no facts exist to support a veil-piercing claim. I have doubts that this conclusion is tenable as a matter of law. In Minnesota, courts apply a two-pronged test to determine whether a claimant may pierce the corporate veil and hold a shareholder or different entity liable for the actions of a corporation. Barton v. Moore, 558 N.W.2d 746, 749 (Minn. 1997). The first prong focuses on the relationship between the two entities, in this case, Entolo and PRG, to determine whether one has disregarded the other�s separate, corporate existence. See id. Courts may apply a variety of factors to make this determination. These factors include: sufficiency of capitalization, observance of corporate formalities, nonpayment of dividends, siphoning of funds by the dominant shareholder, nonfunctioning of directors and officers, absence of corporate records, and existence of the corporation as a fa�ade for individual dealings. Id. The second prong of a veil-piercing analysis requires the court to determine that �piercing the corporate veil is necessary to avoid injustice or fundamental unfairness.� Id. 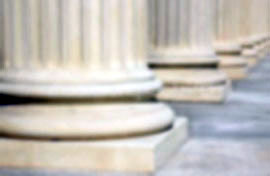 Therefore, before a court may allow a claimant to pierce the corporate veil, the court must (1) apply a variety of indeterminate factors in order to evaluate whether the relationship between the entities is sufficiently intertwined and (2), even if such a relationship exists, evaluate whether a veil-piercing claim is fair in the context of the specific case before the court. Both prongs require the court to make subjective determinations. The first element of a claim for fraudulent misrepresentation is only met if the false factual representation by the party involves a �fact susceptible of knowledge.� Specialized Tours, 392 N.W.2d at 532. When this standard is applied to the facts in this case, it is difficult to see how PRG�s attorney�s representations can be actionable. First, in order for PRG�s attorney to imply facts that �[t]here isn�t anything� to a veil-piercing claim, the attorney would have to imply a factual assertion that the second prong of the claim is met�that the claim is �necessary to avoid injustice or fundamental unfairness.� Because this is a subjective inquiry made by a court, it is not a �fact susceptible of knowledge,� and even if it was, it is unreasonable to conclude that PRG�s attorney falsely implied that a veil-piercing claim in this case would not meet this prong. In other words, if PRG�s attorney was to evaluate the claim and decide that it was viable, the attorney would have to conclude that it would be unjust and fundamentally unfair for the attorney�s client to escape liability. Those are not the type of conclusions we can expect, or even desire, a legal advocate to make, and they are generally not susceptible of the attorney�s knowledge. The majority also accepts the characterization of PRG�s attorney�s statement that �PRG and Entolo are totally separate� as a �direct factual statement bolstering the assertion that there were no facts supporting a veil-piercing claim.� But because the two-prong test for piercing the corporate veil is a subjective test applied by the court, PRG�s attorney could not be in a position to know (1) what facts any particular court or factfinder might find significant, and (2) which factors under the first prong the court might apply, since the enumerated factors in case law are not exhaustive. See Victoria Elevator Co. v. Meriden Grain Co., 283 N.W.2d 509, 512 (Minn. 1979) (stating that factors significant to a veil-piercing claim �include� the listed factors but are not limited to those factors). Therefore, it is difficult to see how PRG�s attorney could as a matter of law represent that �no facts� exist to support a veil-piercing claim because a court could find a fact significant that no other court ever had in the past. The majority finds support for its position in the Restatement (Second) of Torts. The majority argues that two illustrations provided by the Restatement lend support to its position that PRG�s attorney implied facts through expressing a legal opinion. The first illustration is that �a statement that one mortgage has priority over another may imply an assertion that one was made before the other.� Restatement (Second) of Torts � 545, cmt. c (1977). Whether a mortgage has priority over another mortgage has an objective basis in law. See Home Lumber Co. v. Kopfmann Homes, Inc., 535 N.W.2d 302, 304 (Minn. 1995) (citing a specific statute that �establishes mortgage priority from the date of recording�). In other words, a party making the representation may state with complete confidence that one mortgage has priority over another, implying only that the said mortgage was filed and recorded on a date before the other mortgage. But in this case, PRG�s attorney cannot objectively know whether a veil-piercing claim is viable. The majority cites a second illustration from the Restatement, demonstrating how a party may imply facts through expression of a legal opinion: �a statement that a corporation has the legal right to do business in a state may carry with it an assurance that it has as a matter of fact taken all of the steps necessary to be duly qualified.� Restatement (Second) of Torts � 545, cmt. c. Similar to the first illustration, there is an objective basis in law that determines whether a corporation has the legal right to do business in a state. See, e.g., Minn. Stat. � 302A.155 (2006) (�When the articles of incorporation have been filed with the secretary of state and the required fee has been paid to the secretary of state, it is presumed that * * * the corporation has been incorporated * * *.�). A corporation�s legal right to do business in a state is not determined by a court�s subjective analysis, like a claim for piercing the corporate veil. The two illustrations cited by the majority are legal opinions that may imply �fact[s] susceptible of knowledge� to a much greater extent than statements similar to those of PRG�s attorney. Therefore, it appears to me that Hoyt Properties has not established the first element of a fraudulent misrepresentation claim. But even if the first element is actionable, I conclude that as a matter of law, Hoyt Properties cannot meet the fourth element of fraudulent misrepresentation: �that the representation caused the other party to act in reliance thereon.� See Specialized Tours, 392 N.W.2d at 532. I agree with the majority that such reliance must be reasonable, and that to survive a motion for summary judgment, the nonmoving party, in this case, Hoyt Properties, must come forward with facts supporting a conclusion of reasonable reliance. See Nicollet Restoration, Inc. v. City of St. Paul, 533 N.W.2d 845, 848 (Minn. 1995). The district court concluded that Hoyt Properties failed to set forth any evidence demonstrating that Steve Hoyt�s reliance was reasonable, and the majority does not cite any facts Hoyt Properties presented that made reliance reasonable. Yet the majority concludes that Hoyt Properties survives PRG�s summary judgment motion on this issue because a determination of whether reliance is reasonable is an issue for the trier of fact. The majority�s conclusion ignores Hoyt Properties� burden of production, which is to create a genuine issue of material fact by presenting evidence sufficiently probative to permit reasonable persons to draw different conclusions. See DLH, Inc. v. Russ, 566 N.W.2d 60, 71 (Minn. 1997). �	he never discussed the alleged conversation with his counsel before granting PRG the release in the settlement agreement. In light of Steve Hoyt�s extensive legal and business background, his documented practice of relying on his own legal counsel in his business practices, and his standard lease clause advising others to do the same, I conclude that on this record, Hoyt Properties fails to establish reasonable reliance on PRG�s attorney�s statements as a matter of law. Steve Hoyt�s bare assertions that �lawyers [in this city] are pretty forthright and honest� and �have a duty to tell the truth� are not legally sufficient to establish a genuine issue of material fact regarding reasonable reliance. Therefore, I conclude that Hoyt Properties cannot establish the fourth element of fraudulent misrepresentation. Finally, I also share the policy concerns of amicus curiae Minnesota Defense Lawyers Association that the majority�s decision will have the adverse effect of discouraging settlement among parties, based on a lack of confidence in the enforceability of settlement agreements. Fewer settlement agreements could create further demands on the court system and also create additional risk and expense for parties in litigation. Further, I am concerned that what the majority has done with its opinion is to design a roadmap with a well-defined exit route for parties who experience remorse after entering into a settlement agreement. For all the foregoing reasons, I would reverse the court of appeals and reinstate the district court�s summary judgment ruling in favor of appellants.